Bring a lunch and learn with us! Most PHW Lunch and Learn lectures are held between noon-1 p.m. and are free and open to the public. 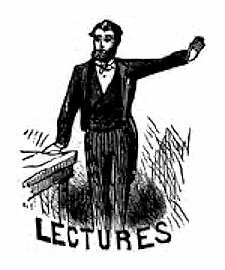 Find new information on upcoming lectures at the PHW Blog. Presented by Eric Bennung, Vice President of Acrymax Technologies. Presented by Sandra Bosley, Executive Director of Preservation of Historic Winchester. This free event served as an introduction to the Clowser Foundation and their efforts to save the ancestral home of one of Winchester's pioneer families. This free event served as an introduction to the Shenandoah Valley Battlefields Foundation and their plans and efforts to preserve one of Winchester's best Federal-style homes with a long and storied past. April 7th: Winchester - a Frontier Town. . .with a Dash of the Wild West! Presented by PHW Executive Director Sandra Bosley. Encore of the May 16, 2015 presentation at the Handley Library. October 8th: "New Techniques to Save Historic Masonry Structures"
October 22nd: Two-part lecture "Expansion of the Winchester National Register Historic District" and "National Avenue Corridor Enhancement District"
November 12th: "History of Douglas School-Winchester, Virginia"
Presented by Judy Humbert. Mrs. Humbert will talk informally about the history of Frederick Douglas School and the creation of the book she co-authored with June Gaskins-Davis, History of Douglas School Winchester, Virginia: A Tribute to Endurance, Belief, Perseverance, and Success.